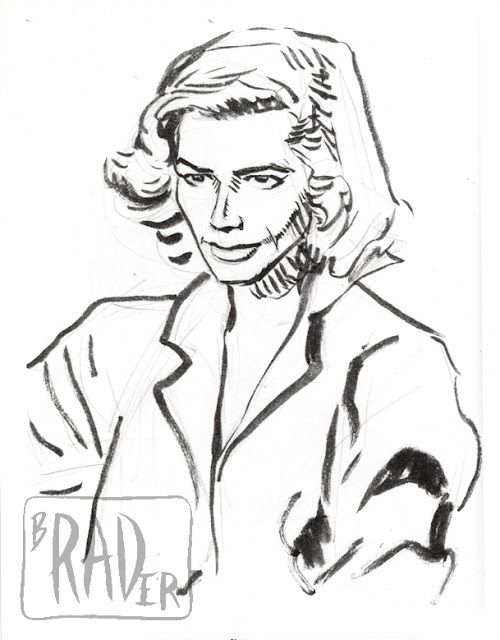 In Friday’s post, I mentioned that Andrea Beaumont, Bruce Wayne’s love interest in the “Batman: Mask of the Phantasm” animated feature film was based off Lauren Bacall. 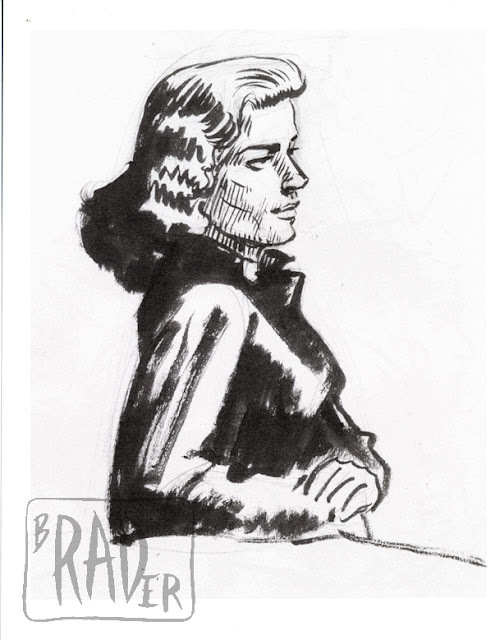 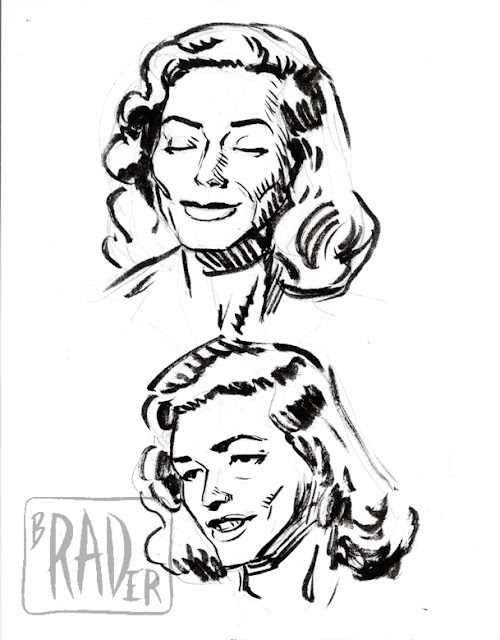 I further mentioned (or meant to mention) that I didn’t find her design “Lauren” enough, so I spent an evening sketching freeze frames of Ms. Bacall from a laser disc of “Cobweb” that I rented for the purpose. 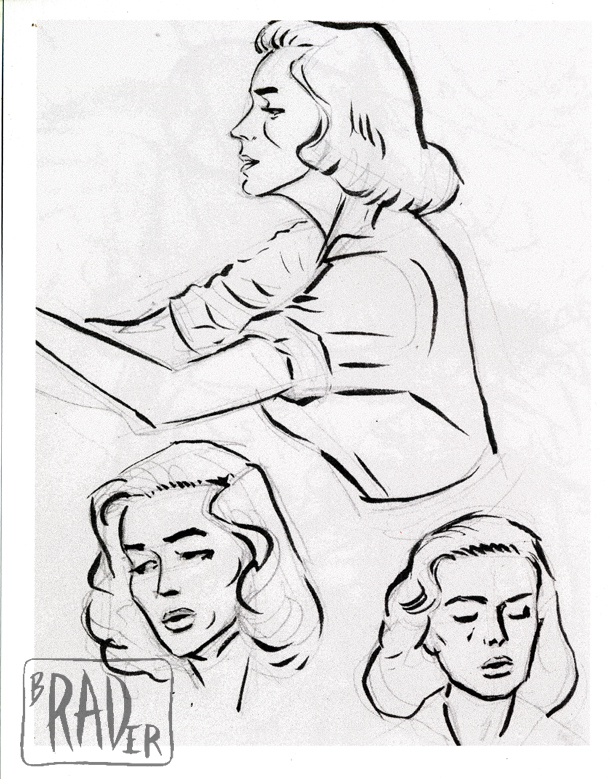 These are those sketches, along with a model of the character and a couple of screen shots I found on the web. 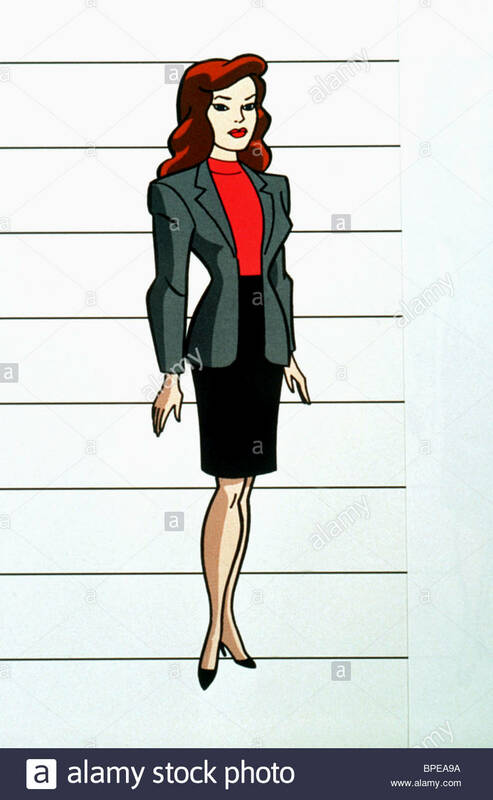 Upon reflection, I have to admit that there’s a reason why straight male “good girl” artists tend to draw women that all basically look the same: the requirements of “pretty” tend to enforce a certain conformity. 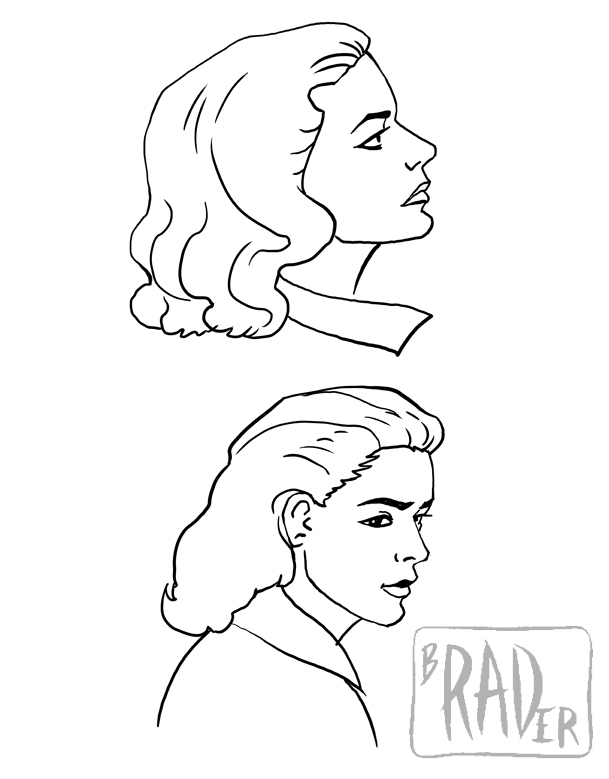 Small nose, minimal wrinkles, a certain kind of chin, eyes set not-too-high-not-too-low in face. More pertinently, it’s one thing to sketch from a laser disc; it’s something else to design a functional animation model. All the little lines I noodled to indicate the planes of Ms. Bacall’s face would make her look like a hag if I put them in an animation model. 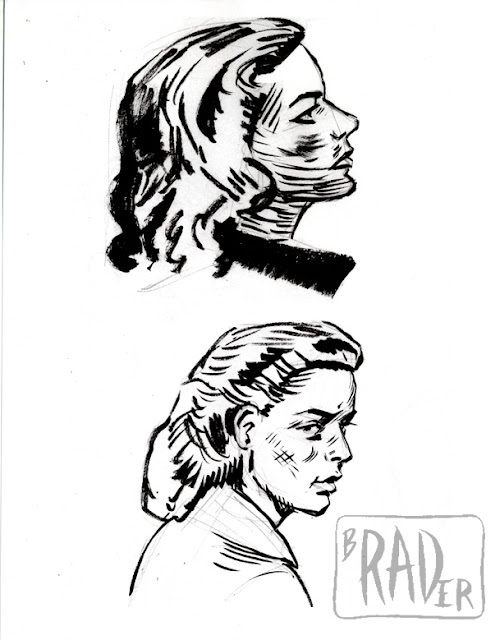 But if I redraw without all those little lines, she starts to look pretty generic. 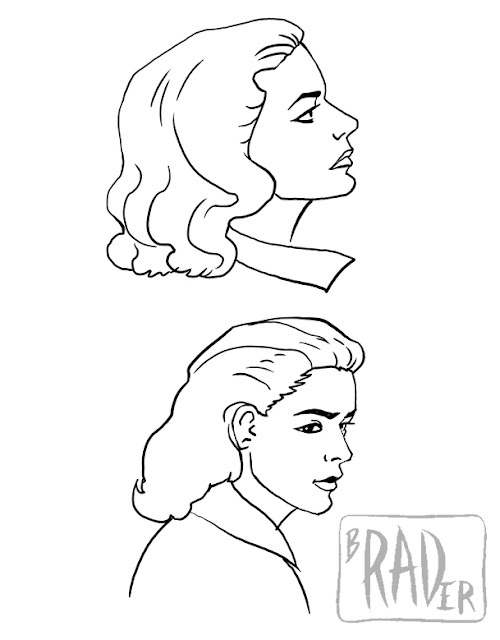 Also there’s the issue of how to design woman’s (i.e., long} hair for animation, a nut that I have not yet cracked. I storyboarded most of the “City of the Future” sequences, including the climactic fight scene between Andrea/Phantasm and the Joker. 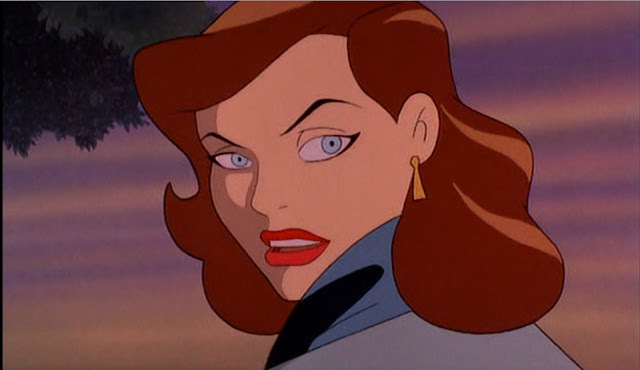 I deeply regret not having taken the time to pull a copy of my storyboard for “Batman: Masque of the Phantasm” before I turned it in.